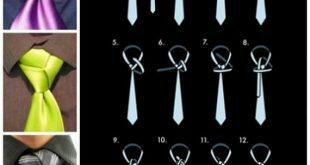 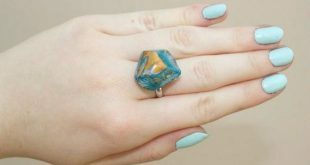 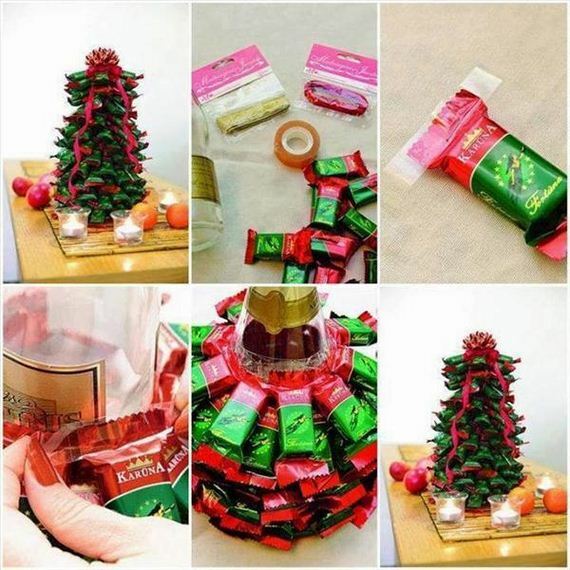 Do you want to impress your family and guests during the holidays? 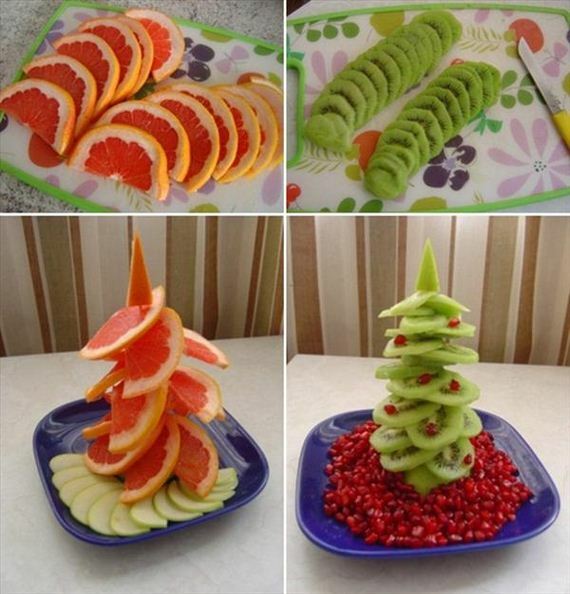 Then this ideas to decorate the Christmas table are just right for you! 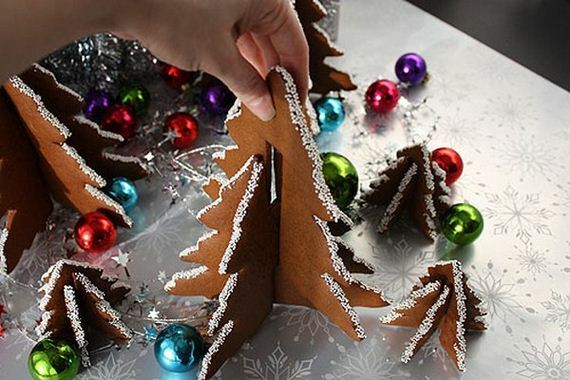 We don’t mean napking folding or candleholders. 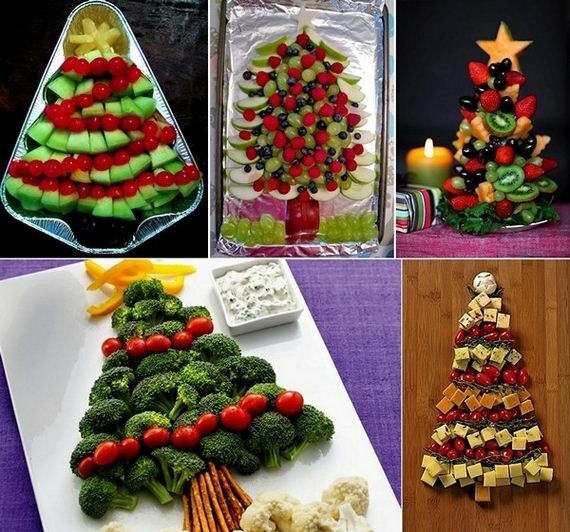 We are talking about super cute homemade edible Christmas trees made of fruits, vegetables and cookies. 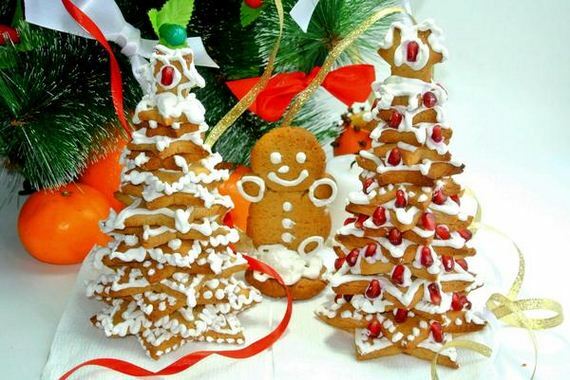 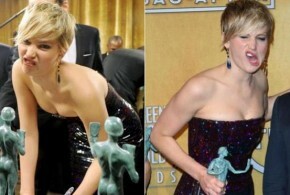 They look very impressive, elegant, bright and beautiful at the festive table! 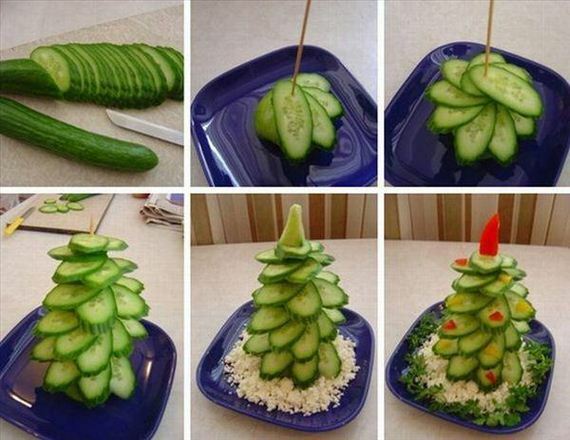 The first Christmas trees are made ​​of cucumbers, cheese, peppers, lemons, kiwi, grapefruits…They will take only 5 minutes! 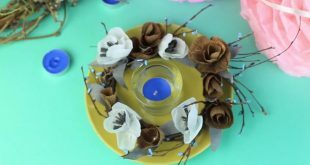 In half an hour you can “grow” a real forest! 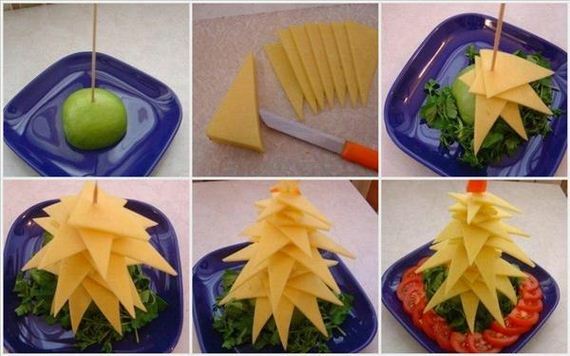 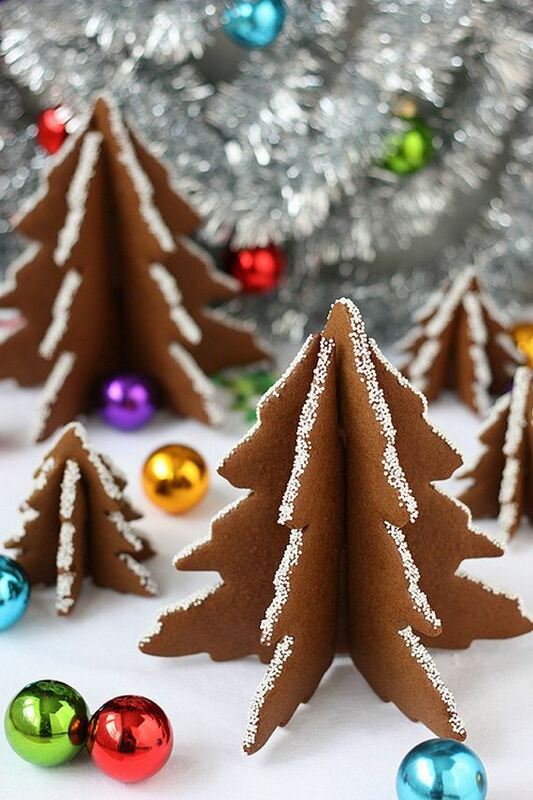 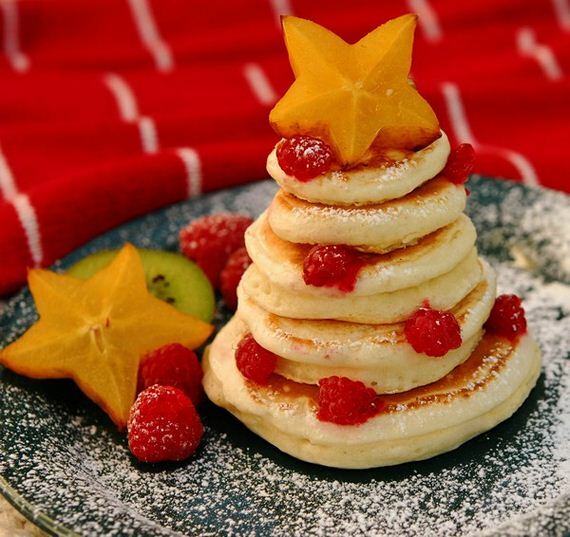 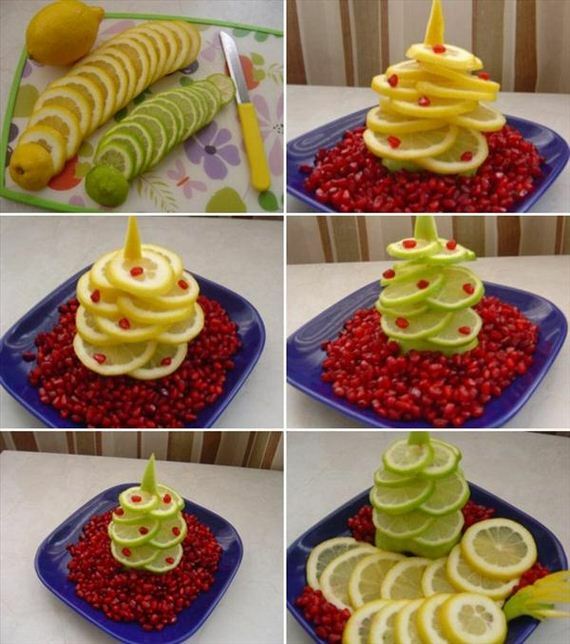 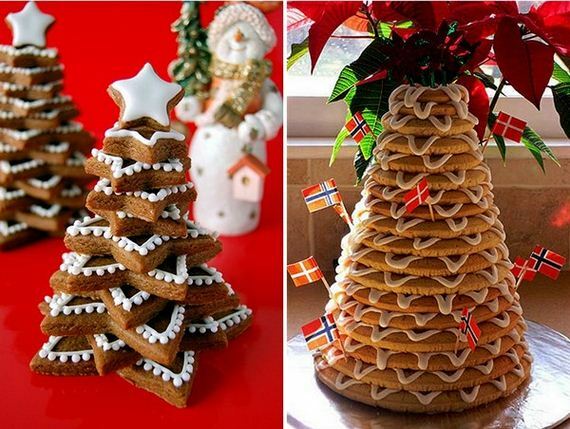 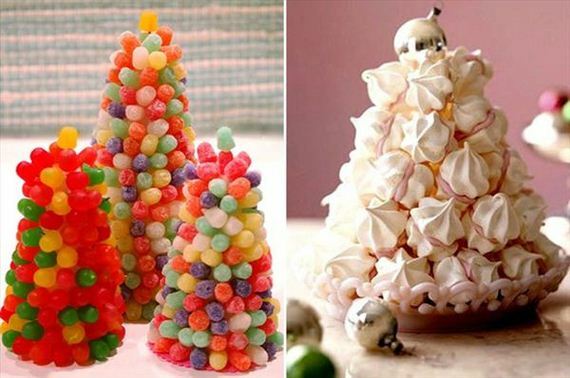 These Christmas trees can be also used as decoration for other meals. 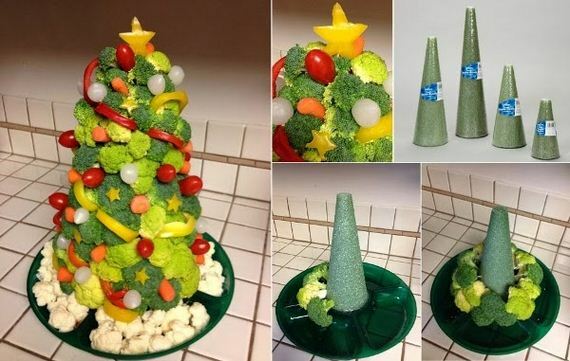 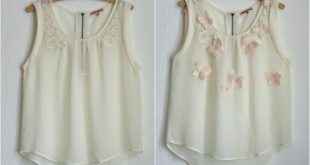 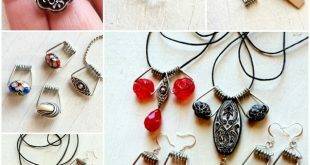 You can further decorate them with anything: pieces of other vegetables such as tomatoes, red peppers, carrots, corn, cheese, olives and others. 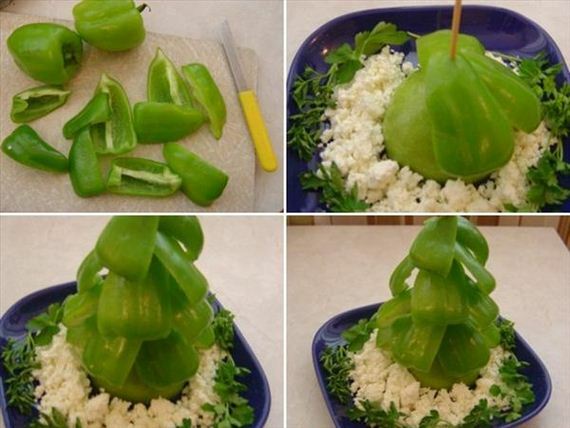 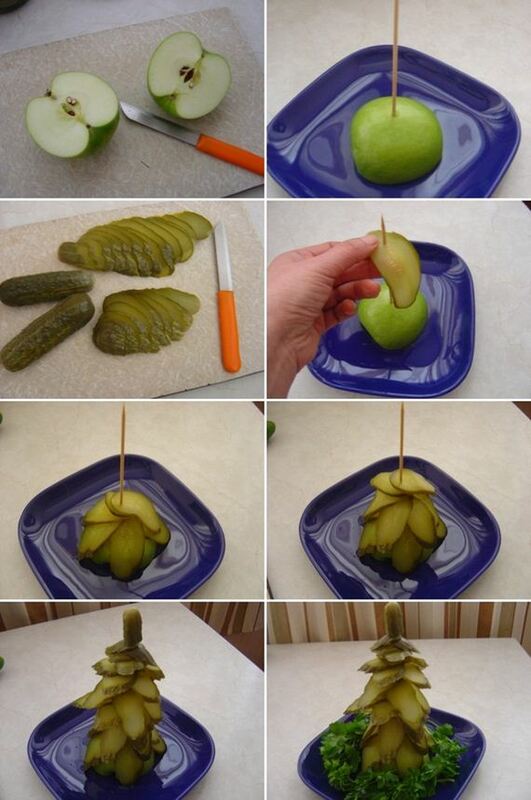 Use a cut in half green apple and a wooden skewer for the base. 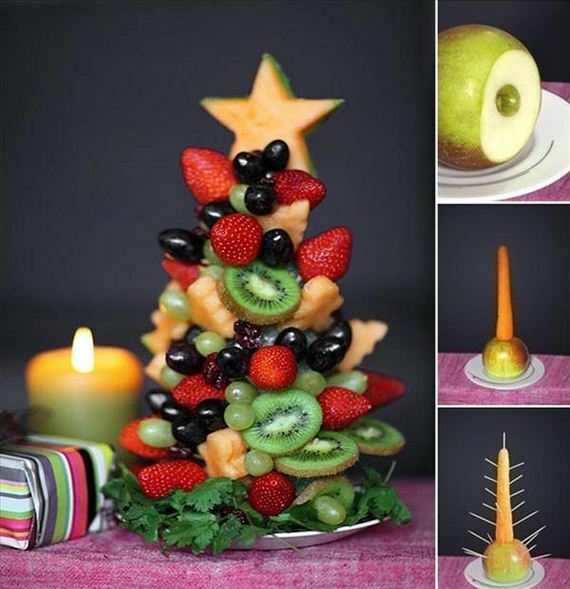 Then start to stick the slices on the skewer in a circle. 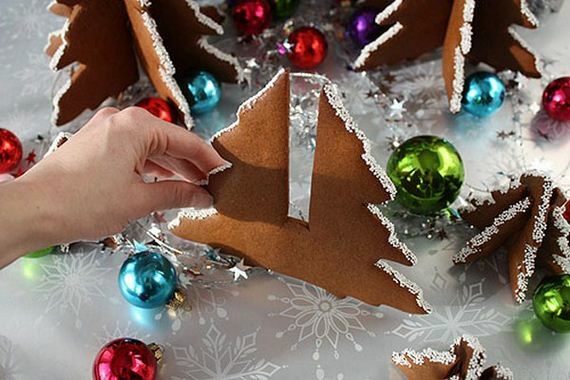 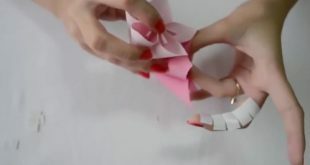 Start with the largest slices and move gradually to the smaller ones. 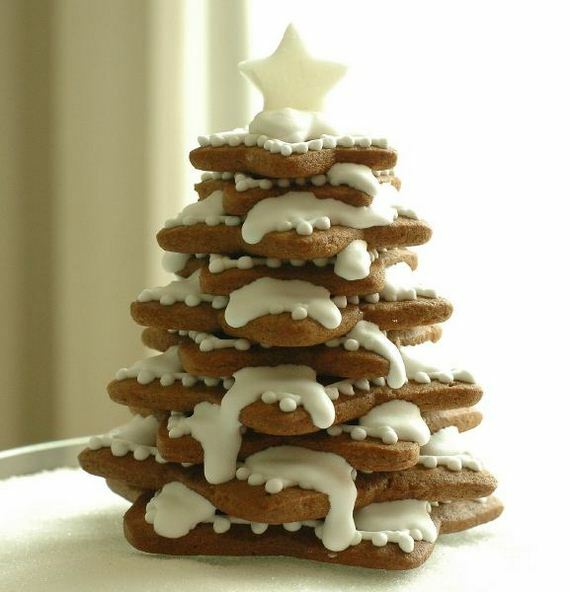 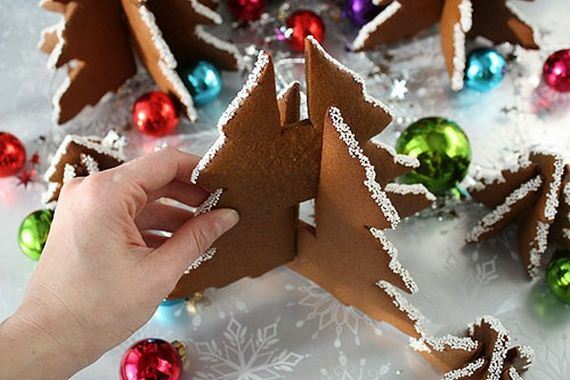 If you love gingerbread cookies and their heavenly smell of holidays, then have a look at this sweet idea for a gingerbread Christmas tree. 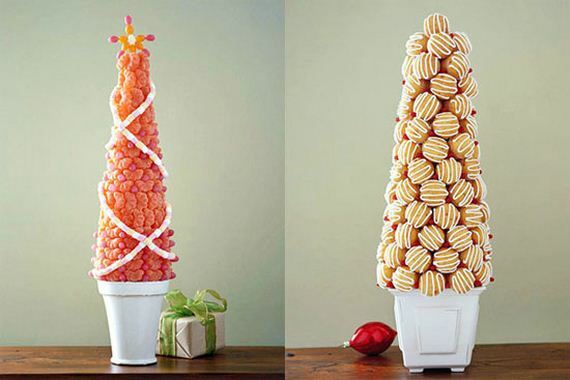 The ingredients for the dough you can find here.